Let CarCareONE help you get your car or truck repaired and back on the road when a big repair slows you down. Plus, use the card every day for routine maintenance, tires and wheels, gas and more. And, take advantage of low monthly payments. Made with your CarCareONE credit card. Interest will be charged to your account from the purchase date if the promotional purchase is not paid in full within 6 months. Monthly payments required. Already a CarCareONE cardholder? No need to apply, your current card qualifies. *The CarCareONE credit card is issued by Synchrony Bank (“SYNCB”). 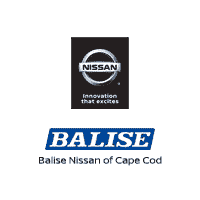 Card accepted at most Balise and Ready Credit locations (except Balise Honda of West Warwick, Balise Nissan of West Springfield, Balise Hyundai of Fairfield and Balise Car Wash locations). Offer applies only to single-receipt qualifying purchases. No interest will be charged on the promo purchase if you pay the promo purchase amount in full within 6 months. If you do not, interest will be assessed on the promo purchase from the purchase date. Regular account terms apply to non-promotional purchases and, after promotion ends, to promotional balance. For new accounts: Purchase APR is 29.99%; Minimum Interest Charge is $2. Existing cardholders should see their credit card agreement for their applicable terms. Subject to credit approval.